What Is the Difference Between a Vial & an Ampule? 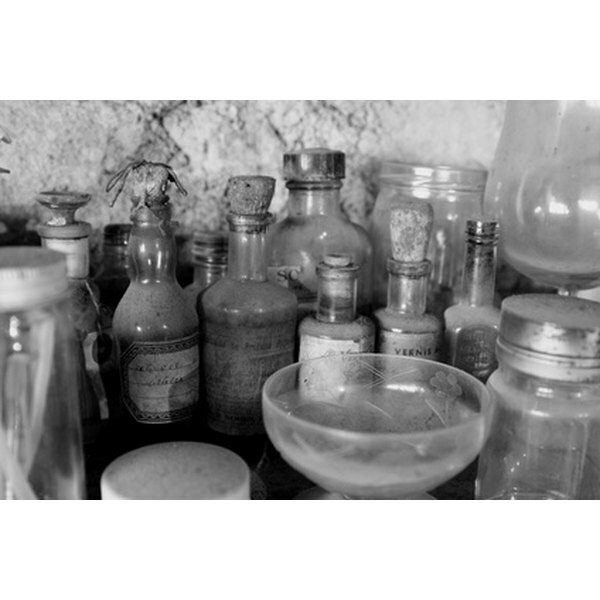 Ampules and vials rest on the shelves of pharmacies or chemical laboratories. Both types of containers play an active role in storing chemical fluids or solids that will be mixed with others or delivered to a patient. Although both refer to glass or sometimes plastic vessels, they benefit from different designs and serve different purposes. An ampule typically indicates a sealed glass container that holds some pharmaceutical compound. This device is sealed to protect its content from air or humidity. The closure of the small container results from melting the tip of the ampule. Its opening requires breaking the neck of the bottle. A vial represents a broader term than an ampule. It includes any small container that holds pharmaceutical or chemical compounds. Typically made of glass, the vial can be sealed or not sealed. The vessel closes with a screw on cap, or a rubber plug. Sometimes, its top includes a dropper to measure the liquid to retrieve. The vial tends to have a flat bottom so that it can rest on a counter. Chemical elements that tend to be unstable in the presence of air or another compound remain intact and keep their potency when stored in an ampule. Frequently, drug manufacturers will pull the air out of an ampule before sealing it to prevent the medication from degrading within the container. A vial is typically not hermetic and best contains stable compounds. Since the ampule opens with a break of its shell, this container is not reusable. At times, snapping off of the ampule may be challenging and at times present risk of injury according to Ron Stoker, Executive Director of the International Sharps Injury Prevention Society. In contrast, a vial can be cleaned and reused several times and presents less risk of injury. The container of an ampule experiences slight variations in its internal volume. This results from the sealing process that melts the glass. Typically, a syringe with volume indicators pulls some fluid from the ampule to size the required amount of medication. In contrast, a vial can provide accurate volume markings that become visual indicator of the remaining volume of product. Vials act as convenient containers to mix several chemical compounds together. Through their glass walls, the resulting compounds feature their consistency and colors. The broken glass edge of opened ampules presents the risk of introducing small glass debris into a mixture of chemical elements and therefore do not lend themselves to mixing products. What is the Ion Exchange in Whey Protein Powder?